Celtic Park in Derry has been confirmed as the venue for All-Ireland Under-21 football champions Tyrone's Ulster semi-final against Donegal on 30 March. The north-west rivals met at the same venue in last year's Ulster final, which Tyrone won by 1-11 to 0-13. 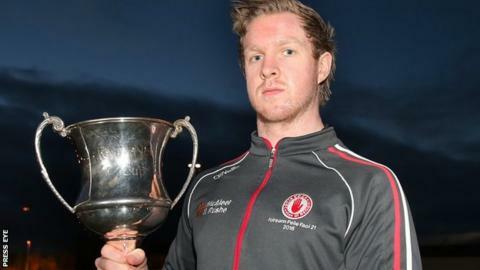 Tyrone defeated Cavan and Donegal beat Derry in this year's quarter-finals. Armagh play Monaghan in Pairc Esler in next week's semi-final after beating Down and Fermanagh respectively. Both games have 20:00 BST throw-ins.